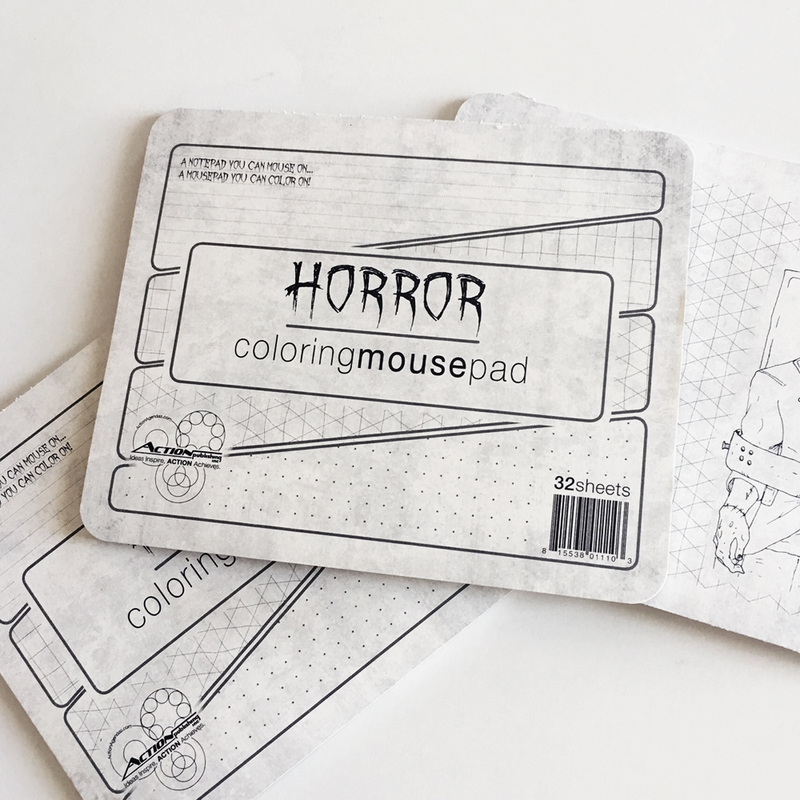 Horror Movies Coloring Mousepad | Mousepad Notepad | Action Publishing, Inc.
A mousepad, journal, and coloring book: three useful desk tools all morphed into one little pad. 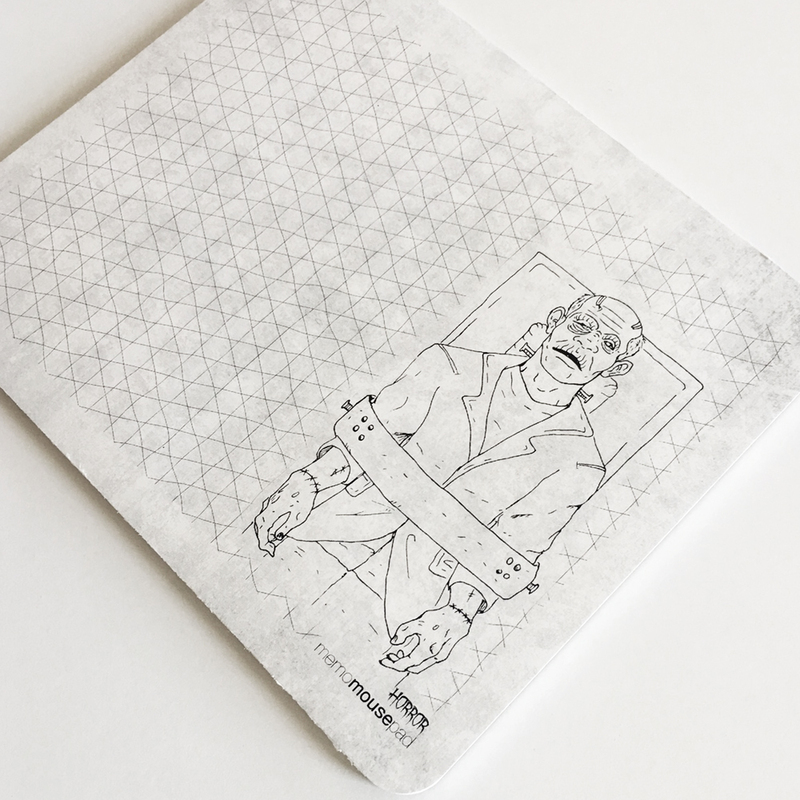 Made for busy office workers with a love for vintage horror films or scary campfire stories, The Horror Coloring Mousepad lets the Halloween admirer sink their teeth into their artistic side. 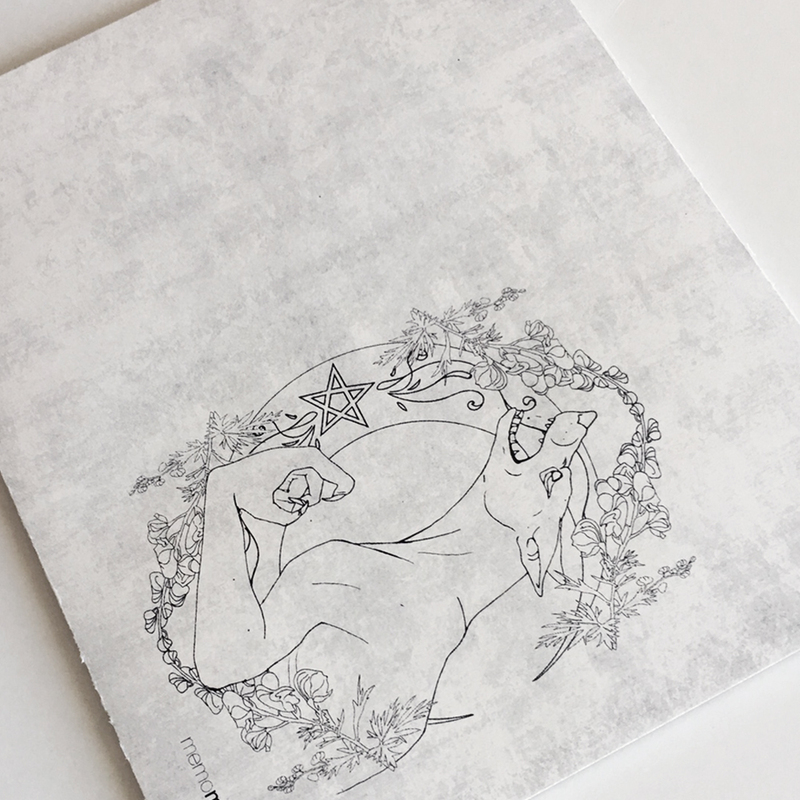 The mousepad is composed of 32 alternating sheets with Grid, Line, Isometric and Dots so witches and warlocks alike can conveniently jot down a quick spell on their mousepad right away. 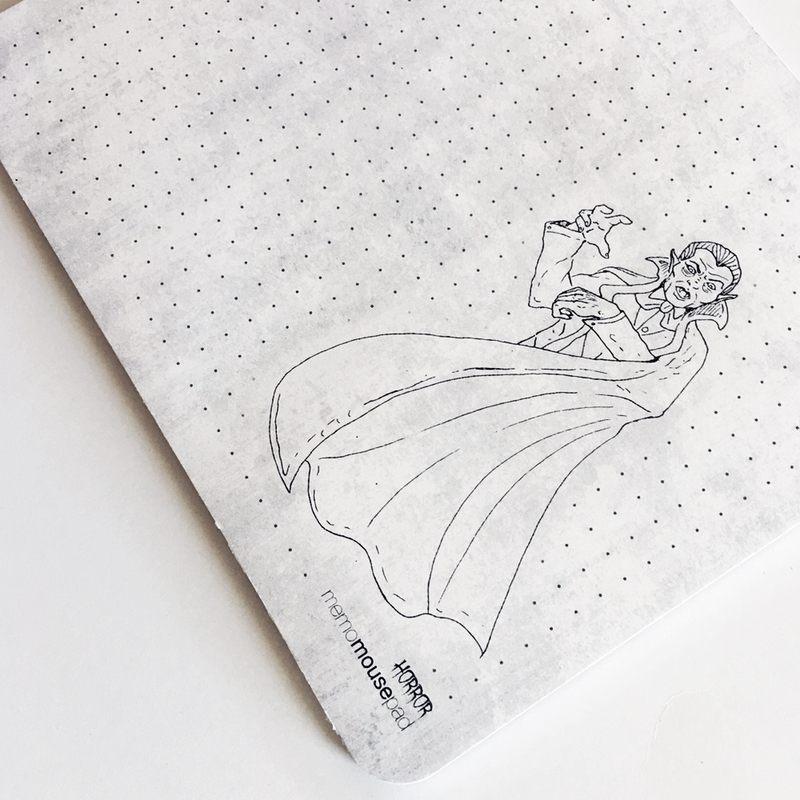 Take a mental break from busy days amongst the living with colorable Halloween illustrations of werewolves, vampires and other haunting creatures and characters inspired by classic horror movies, all hand-drawn by artist Mary Carman. 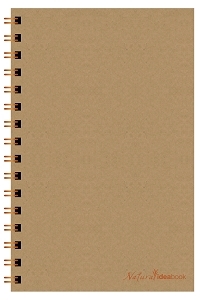 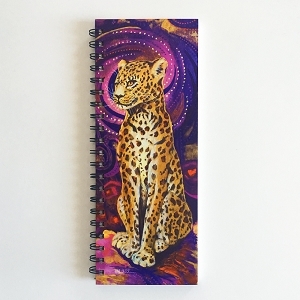 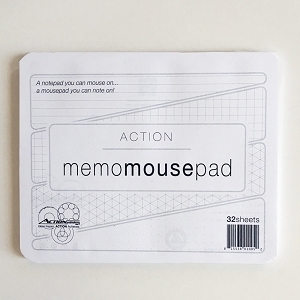 Made with glued front and back edges to keep your pages in place, as well as peel-and-stick bottom adhesive strips to keep your mousepad from slithering around your desk. 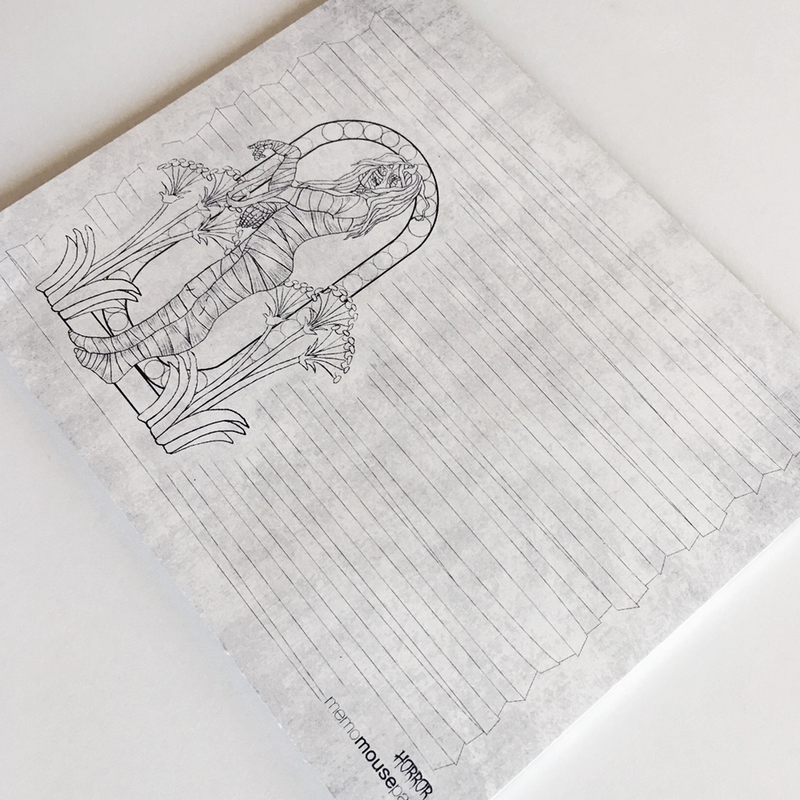 The Horror Coloring Mousepad makes a fantastic gift for artists, necromancers in management, vampires in finance, demons in production, creepy receptionists, or can be a perfect way to practice supernatural self-care by unwinding and relaxing during a busy day at work. 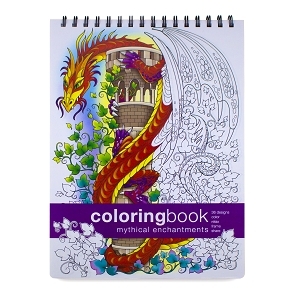 Available in singles or three-packs!